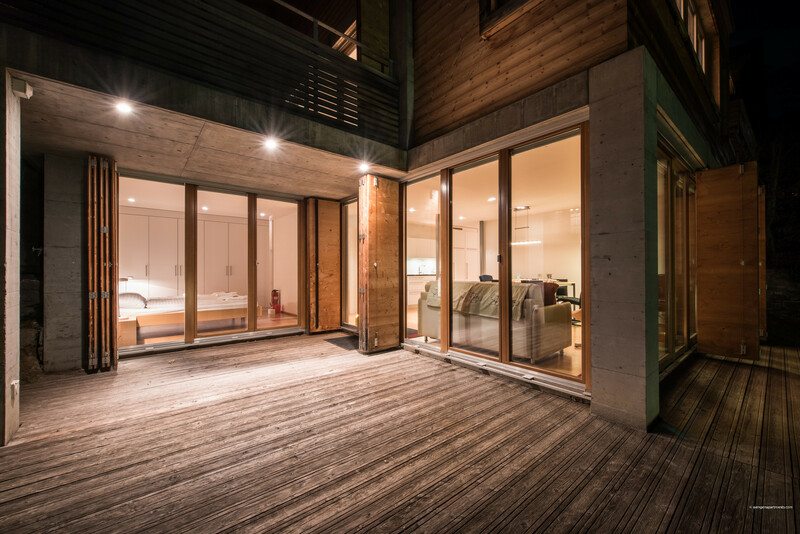 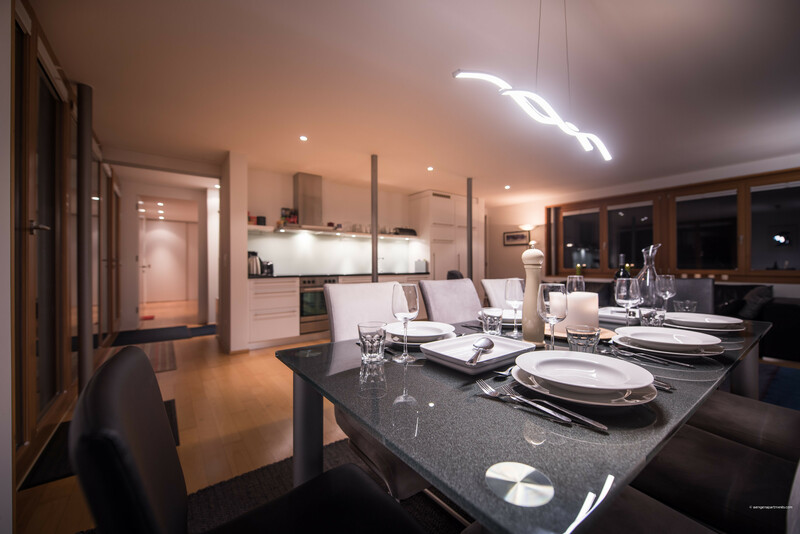 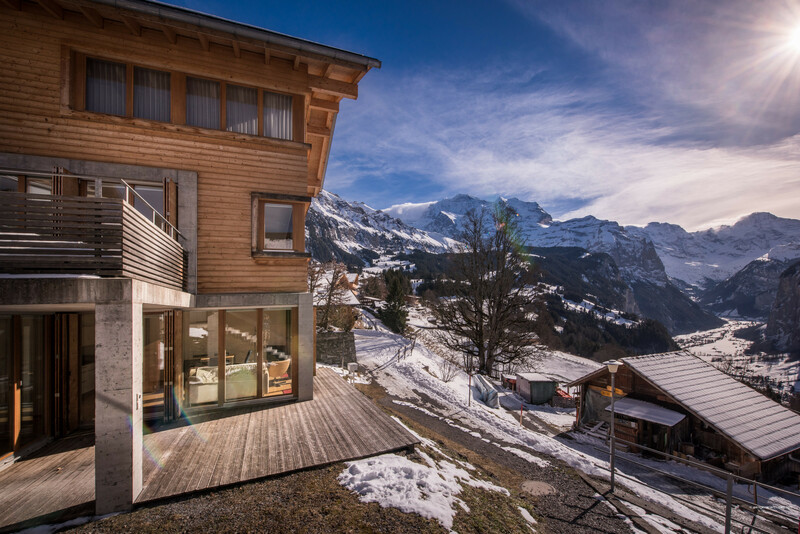 Chalet Dillon is a large newly-built 4 bedroom apartment on 2 levels with some of the best views in Wengen! 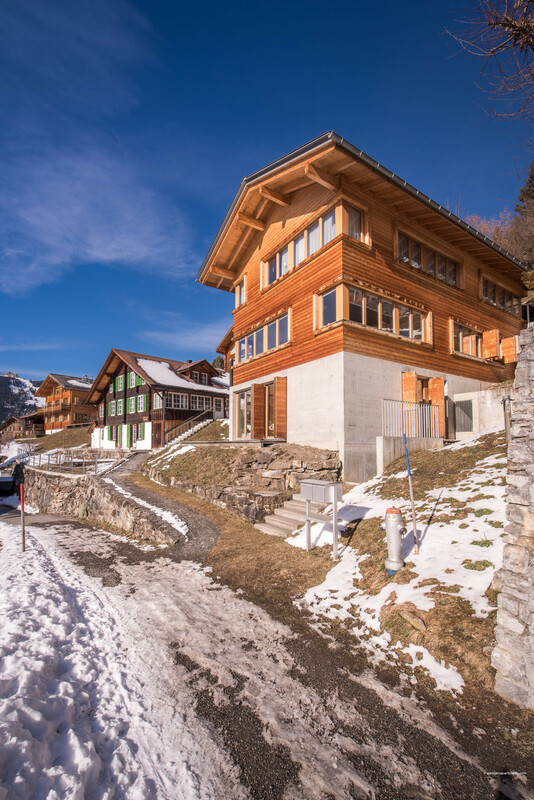 It’s in a quiet location, but just a short walk down hill from the centre of the family-friendly “car-free” village of Wengen. 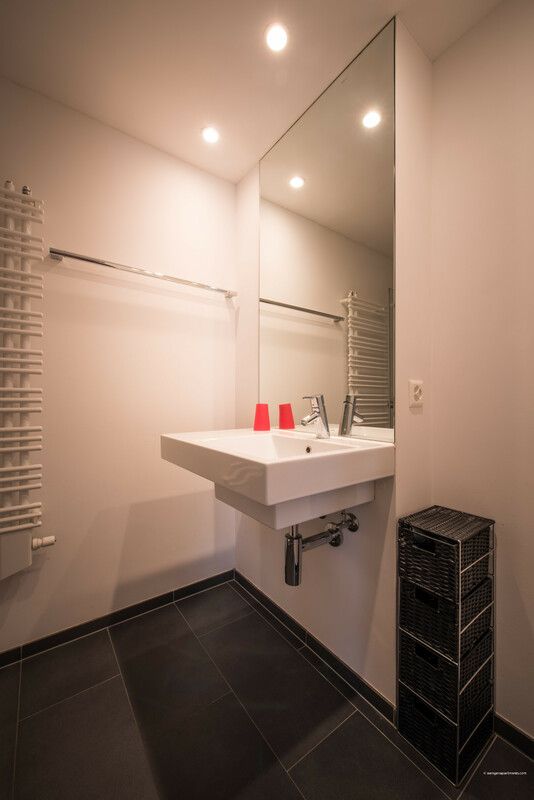 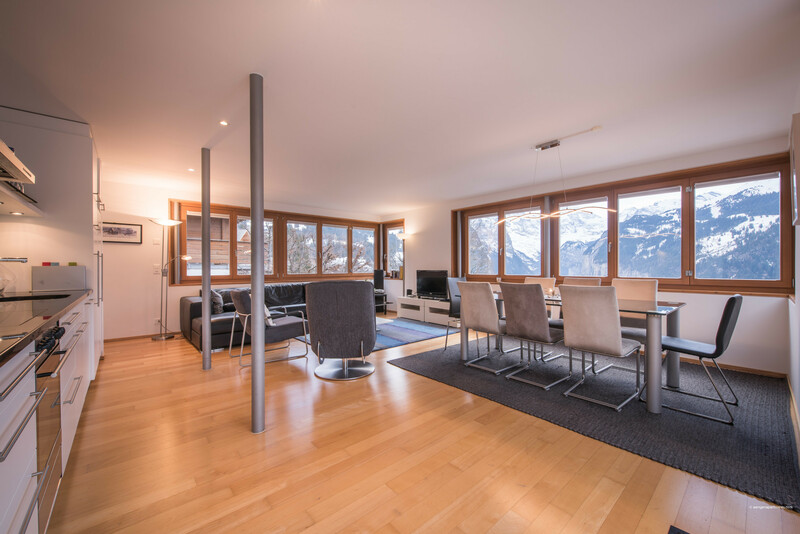 Apartment location - at 600 metres walk from the train station, 450 metres to the nearest grocery store and 450 metres to the cable car and nursery ski slopes, mountain hiking trails and ski areas are are just a few steps away! 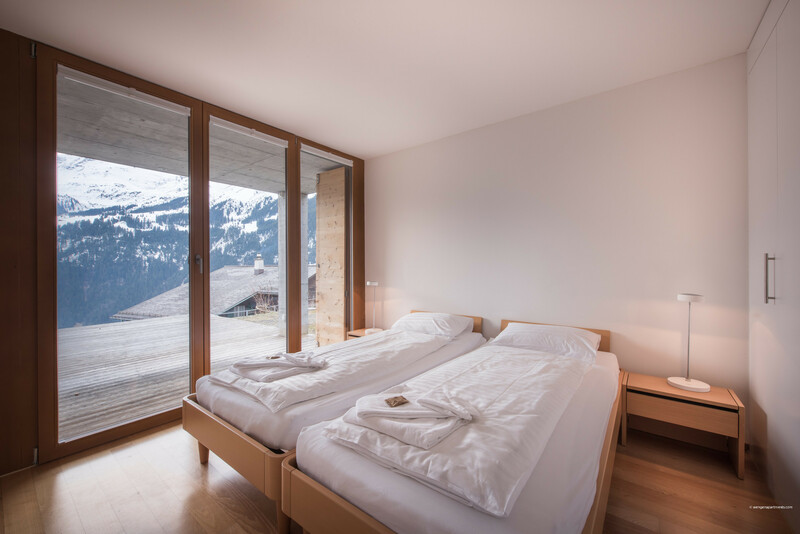 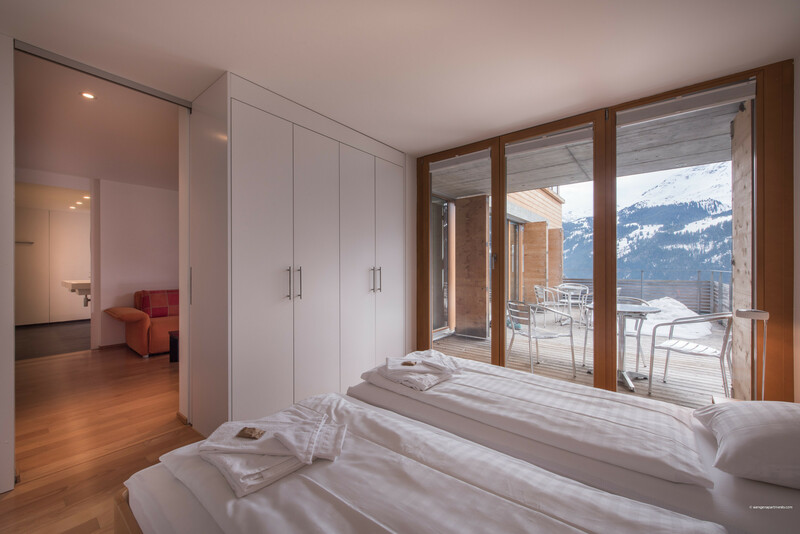 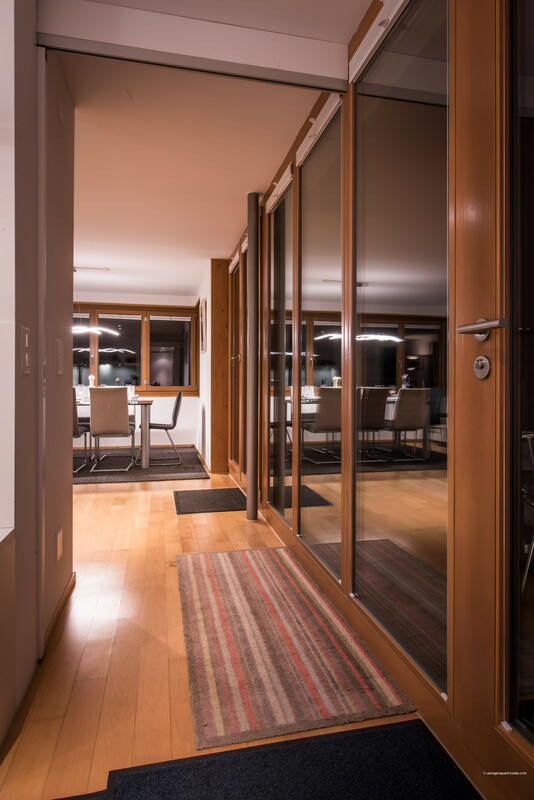 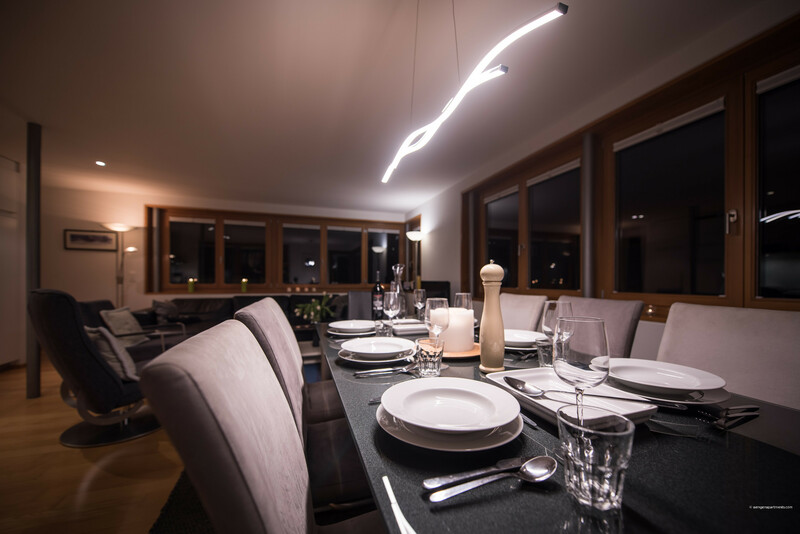 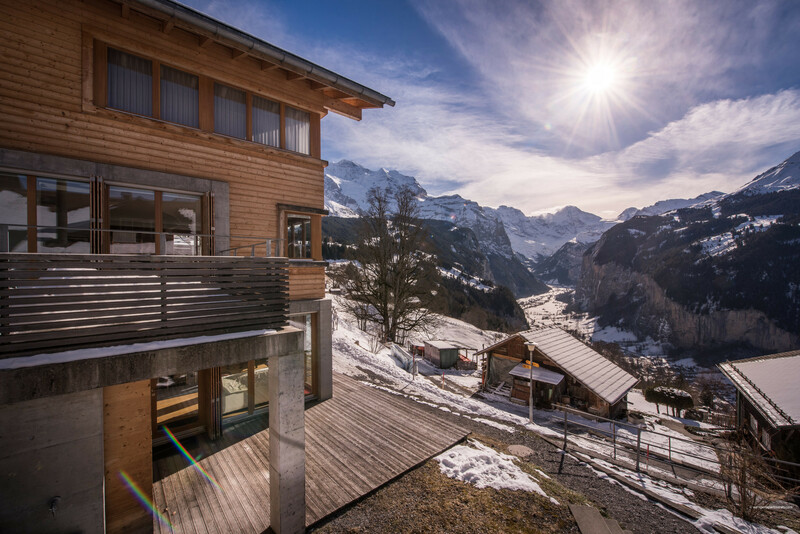 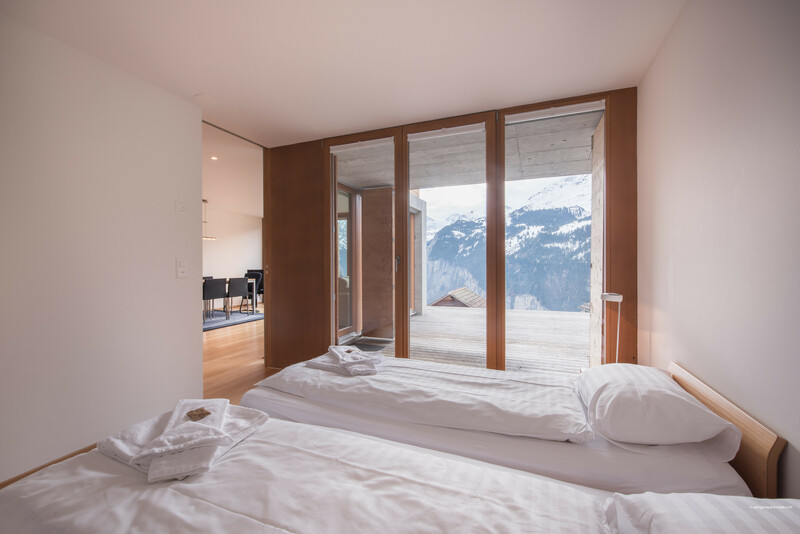 From Chalet Dillon, marvel at the stunning views of the Lauterbrunnen valley, waterfalls and surrounding mountains, including the famous Jungfrau! 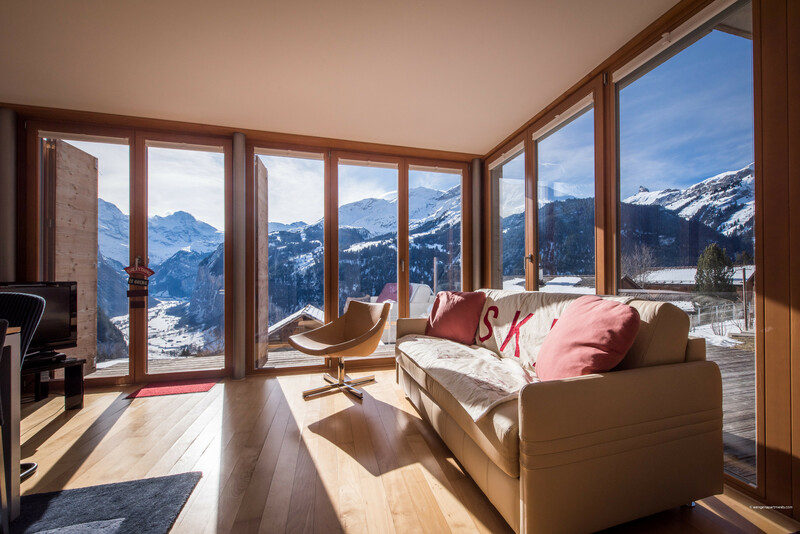 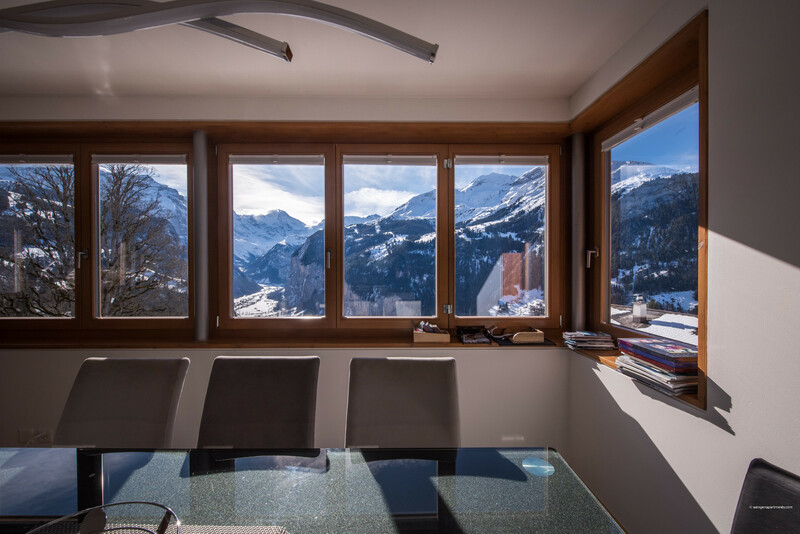 The large bi-folding windows open fully to “let the outside in” so you feel closer to the beautiful Swiss countryside! 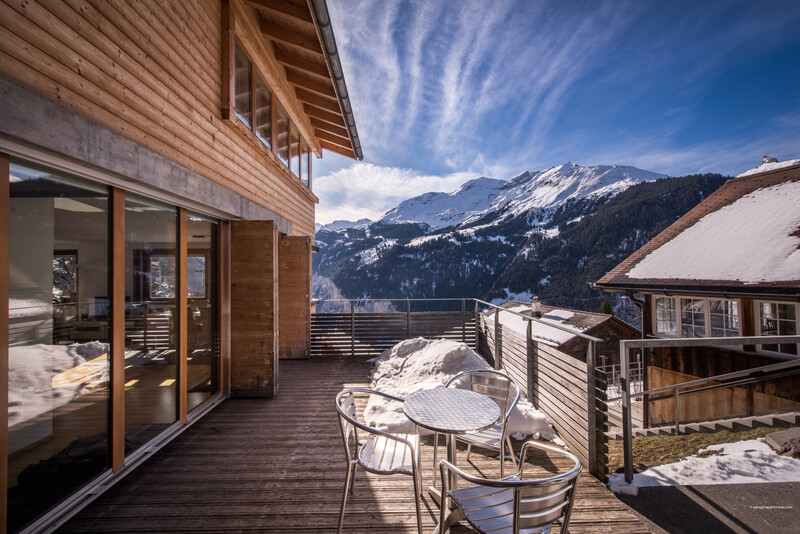 The blue accents in the internal décor reflect the clear blue of the sky and the glorious panoramic views! 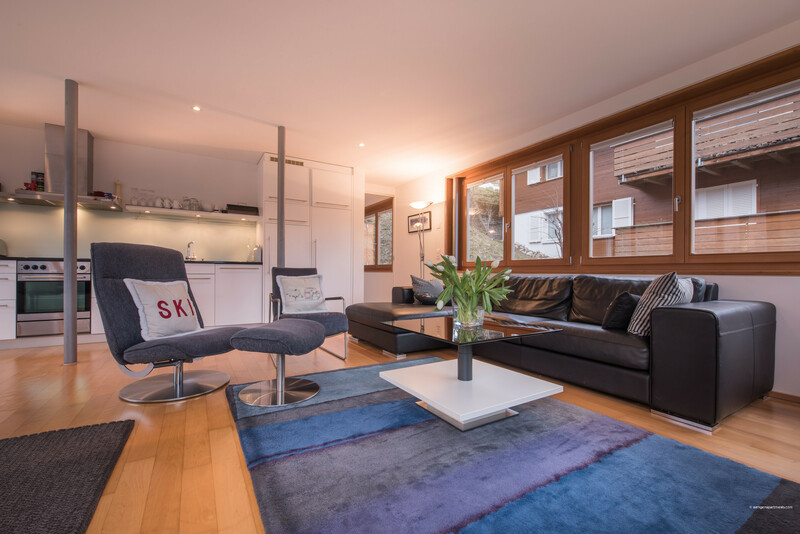 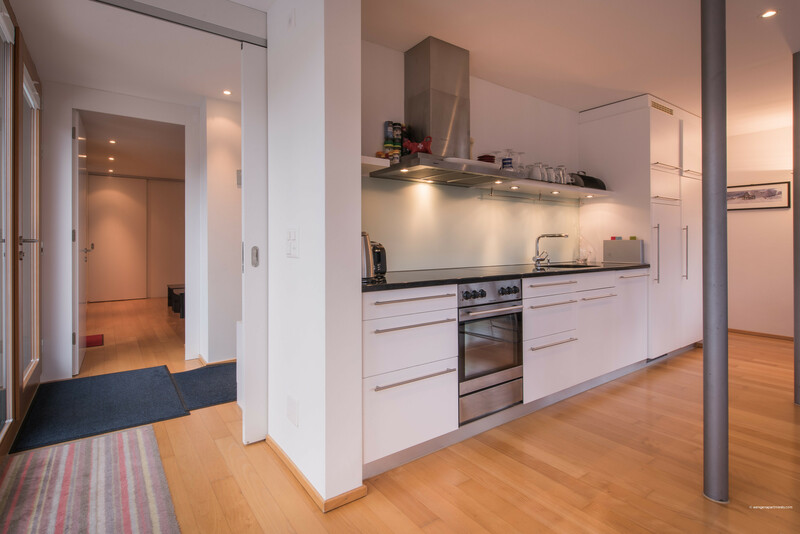 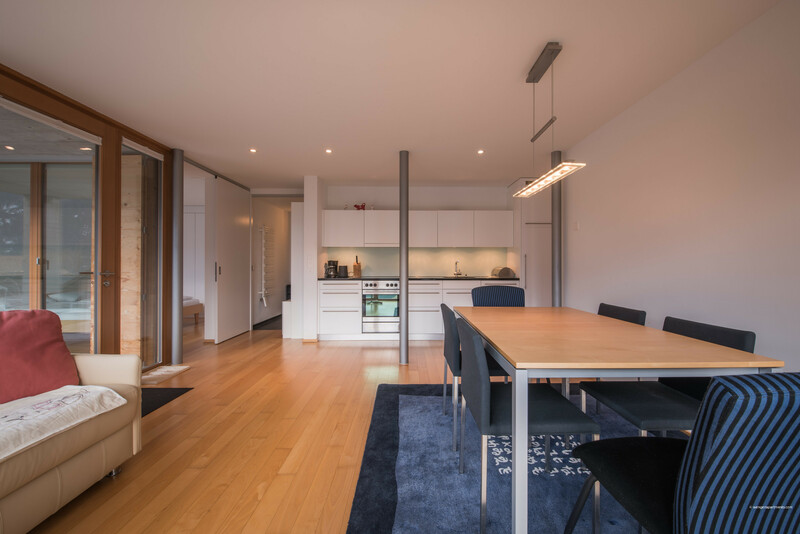 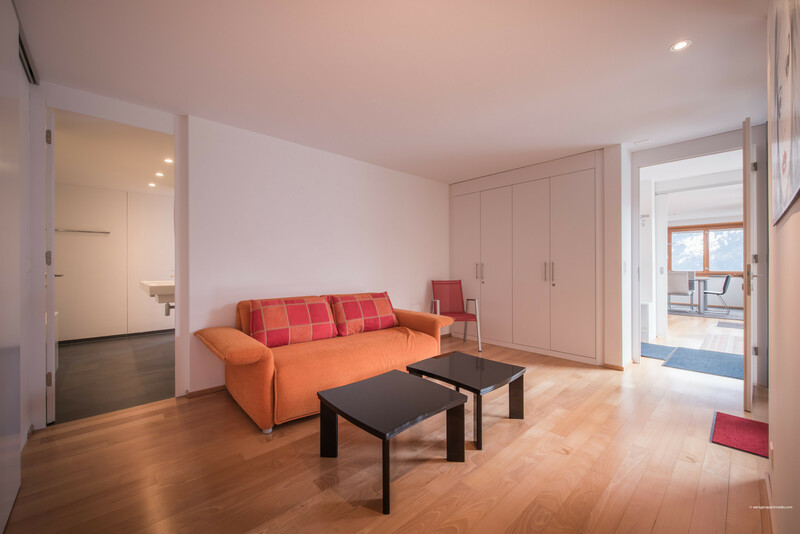 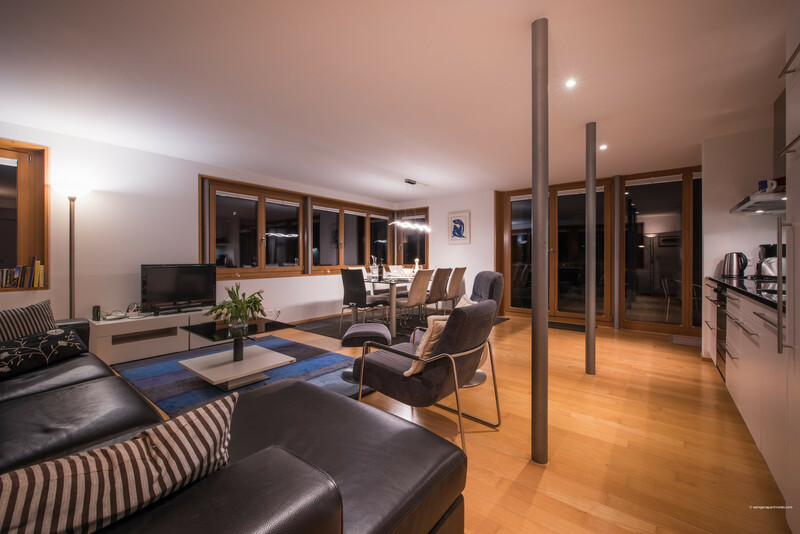 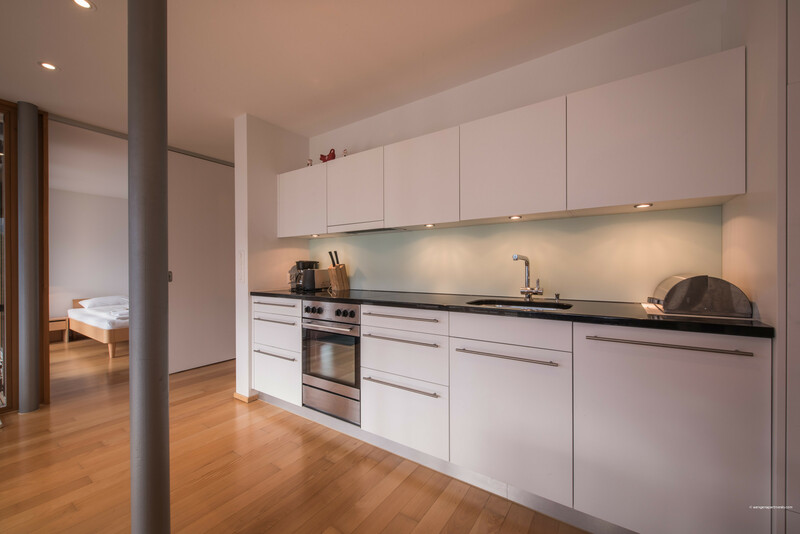 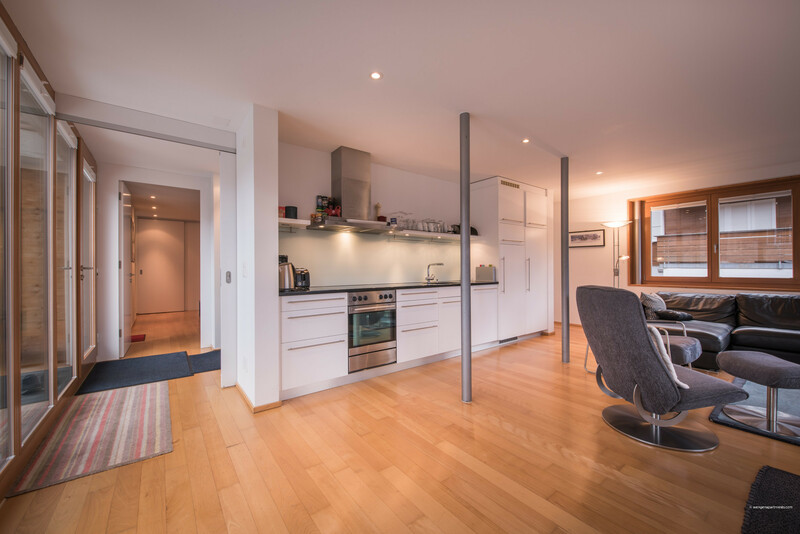 This bright, modern and spacious apartment is split over 2 floors providing 2 separate living spaces, but connected by an internal staircase. 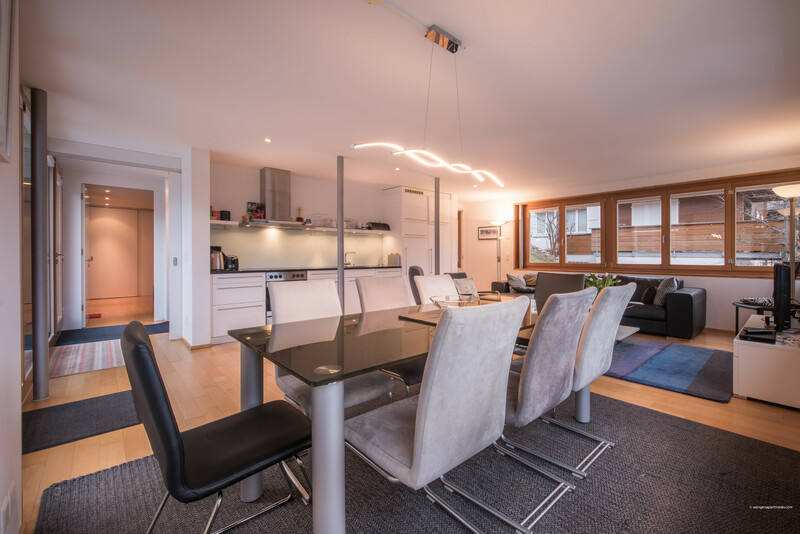 This provides two open-plan living / dining and kitchen areas - perfect for a large family or group who want that extra space to cook, eat, entertain and relax! 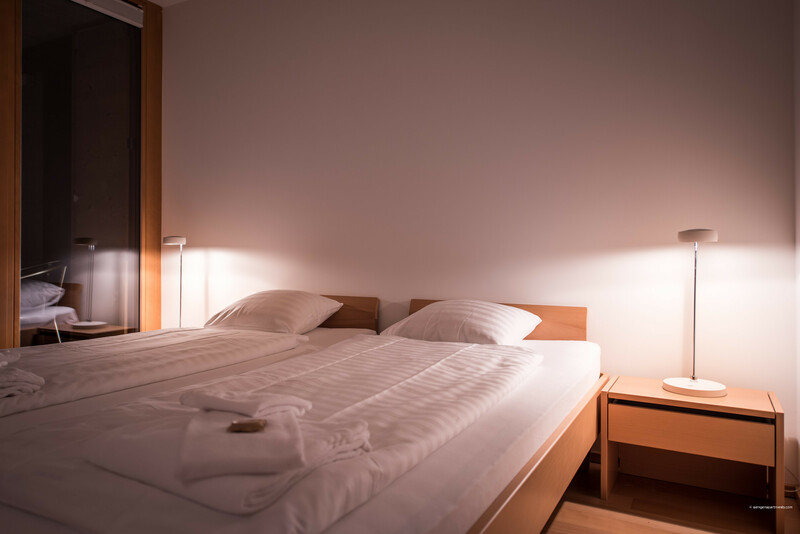 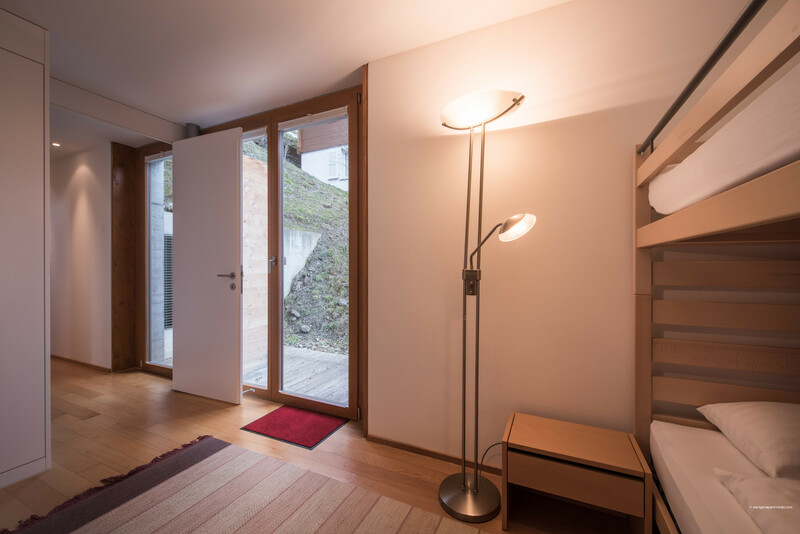 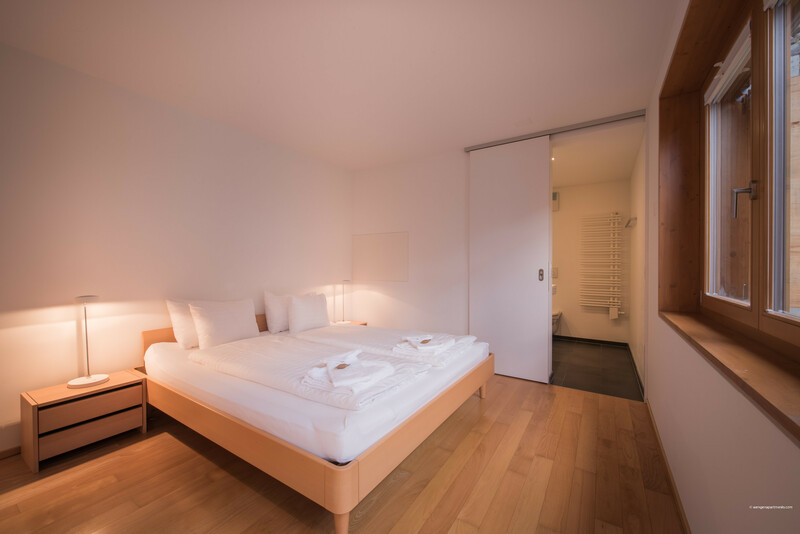 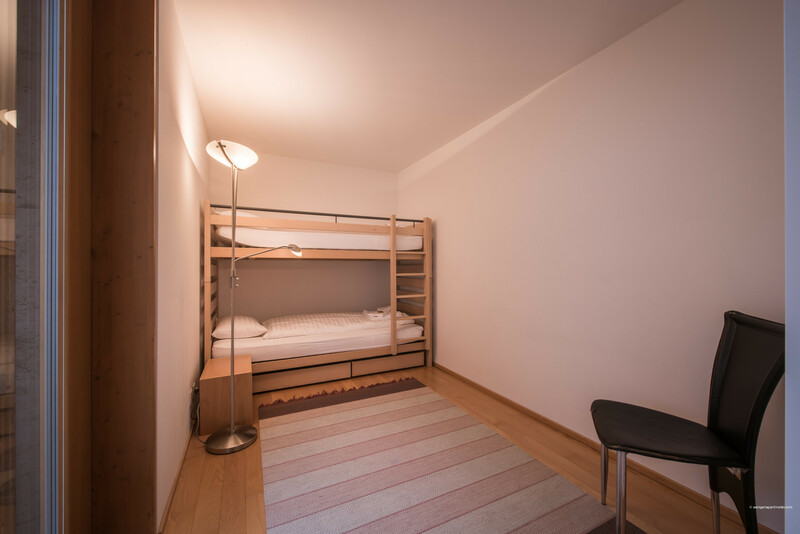 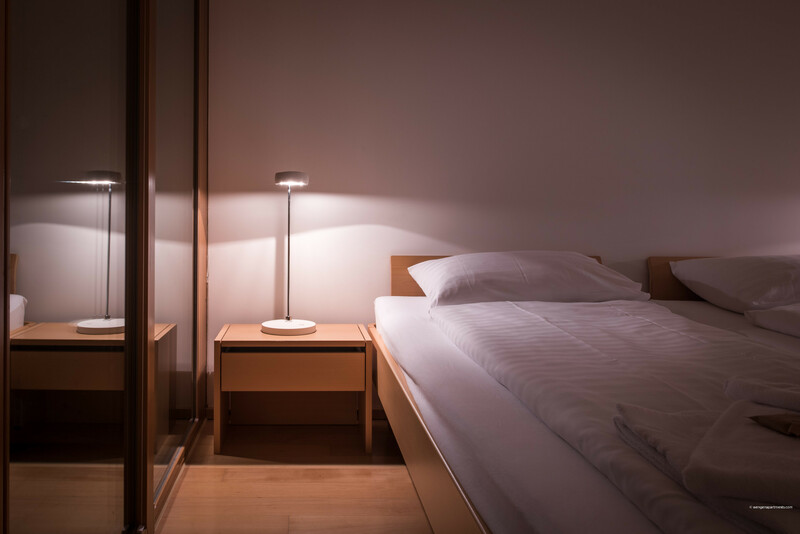 There is free WiFi and a cable TV in each living room - perfect to give the kids their own “hideaway”! 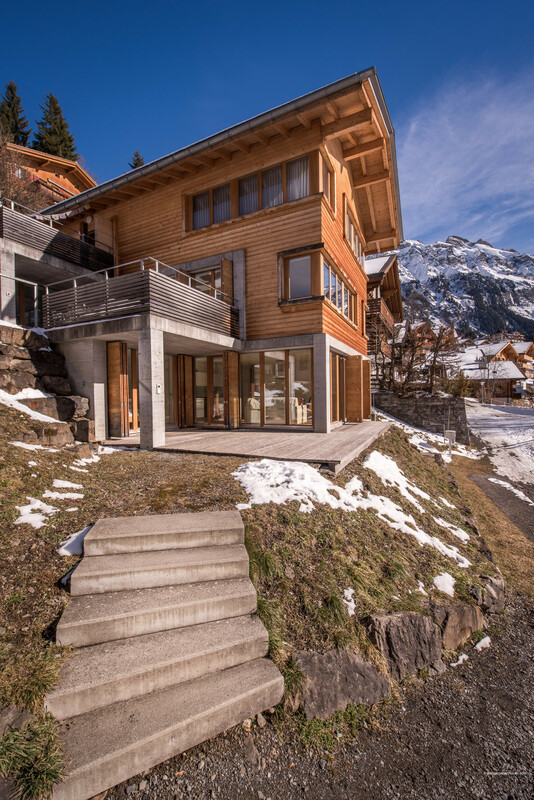 Each floor leads out onto it’s own wooden terrace. 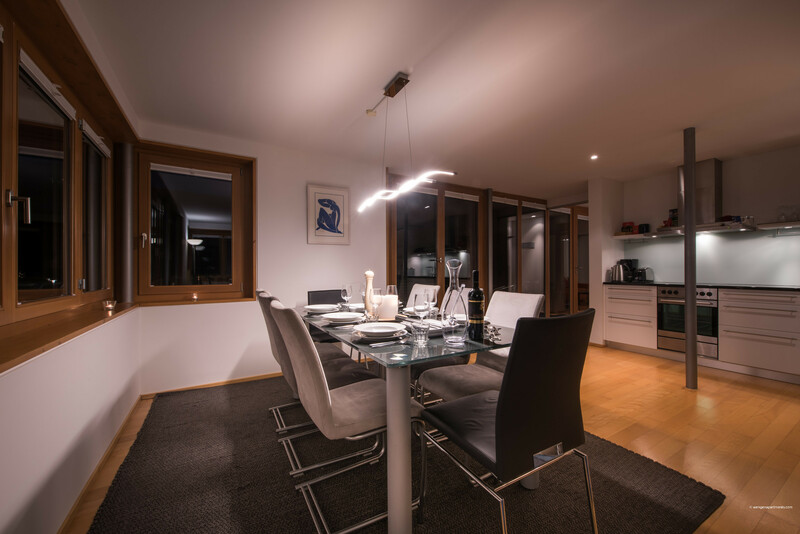 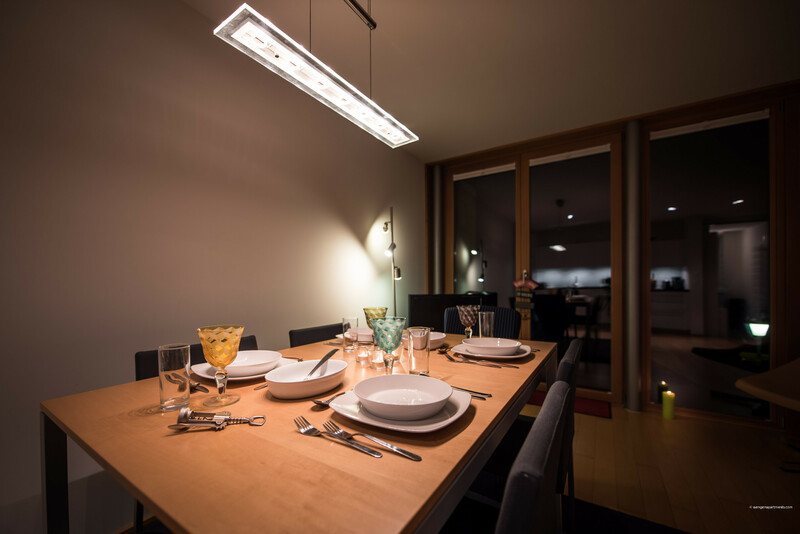 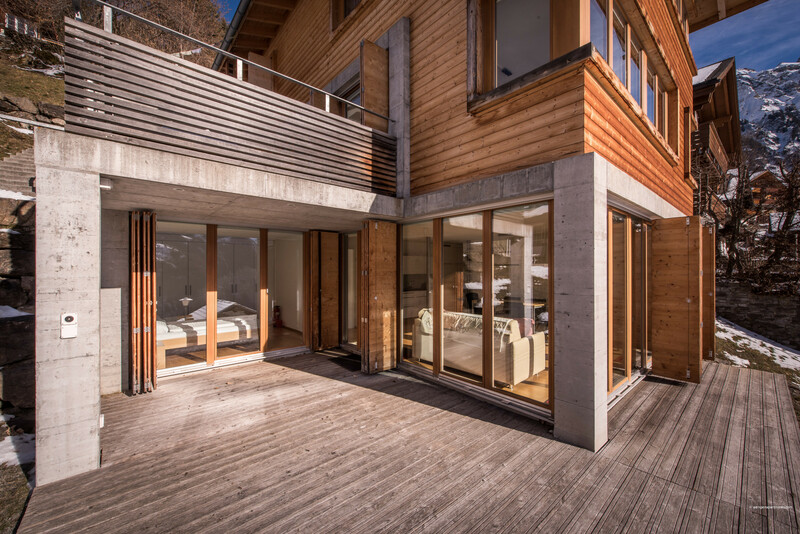 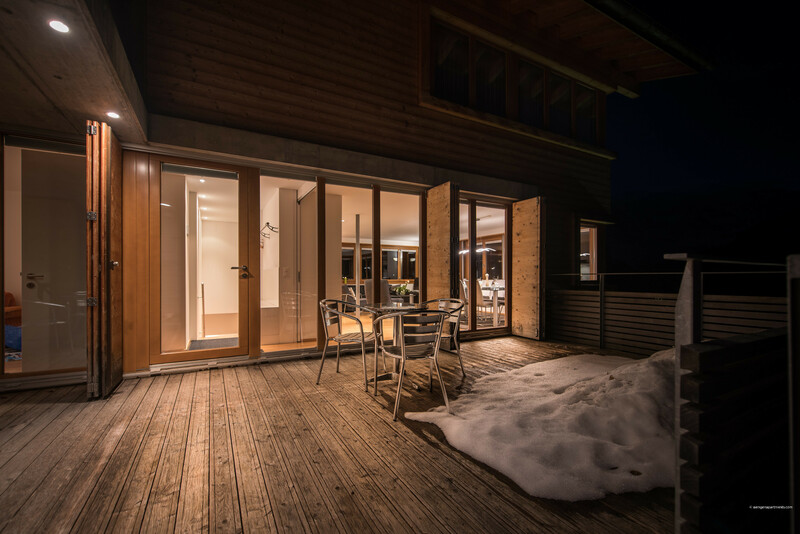 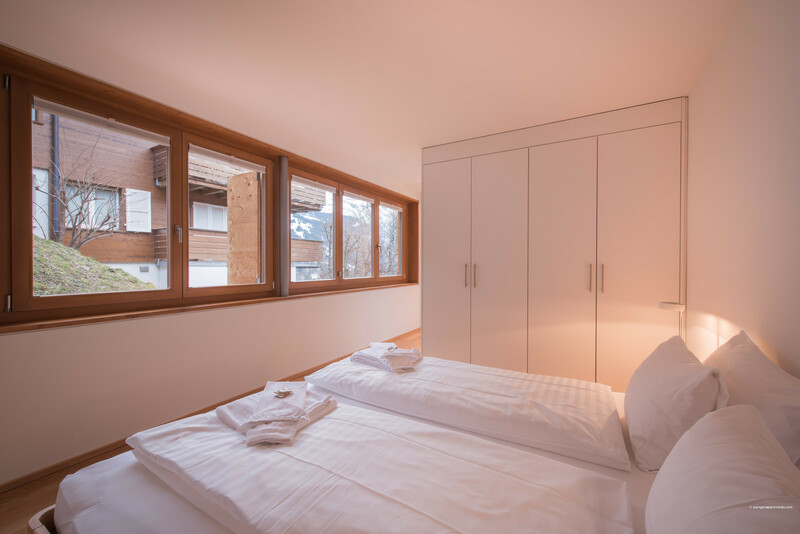 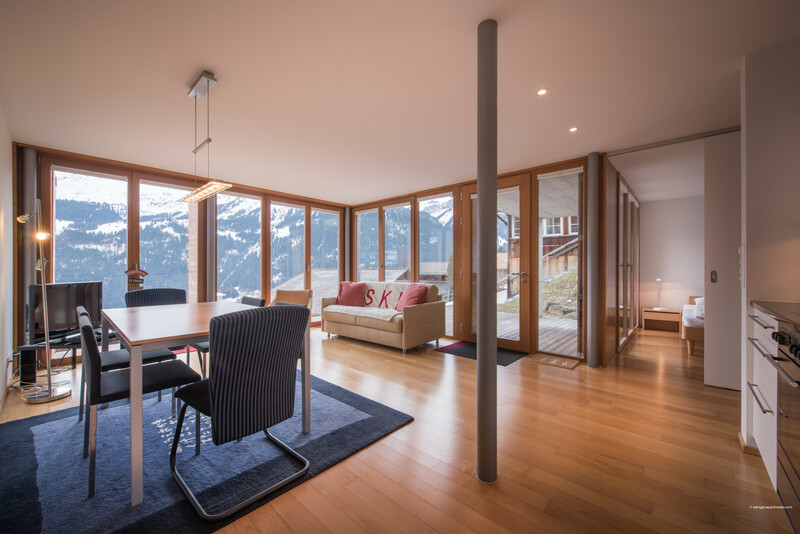 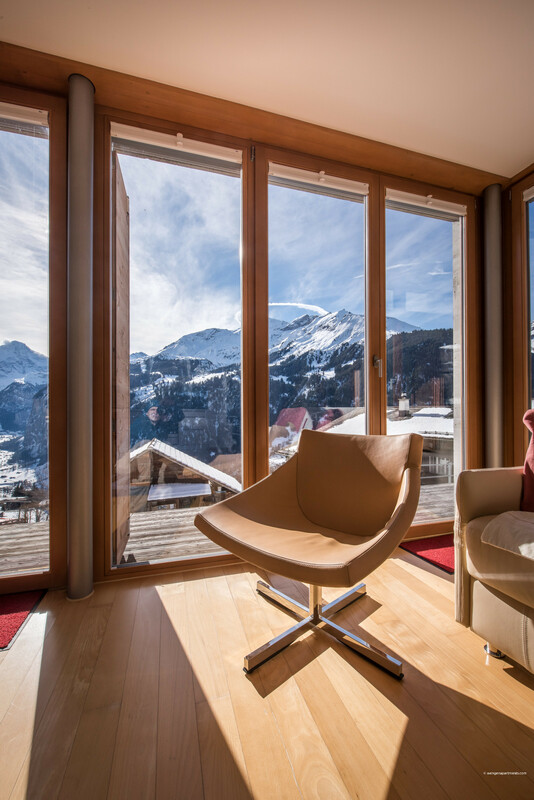 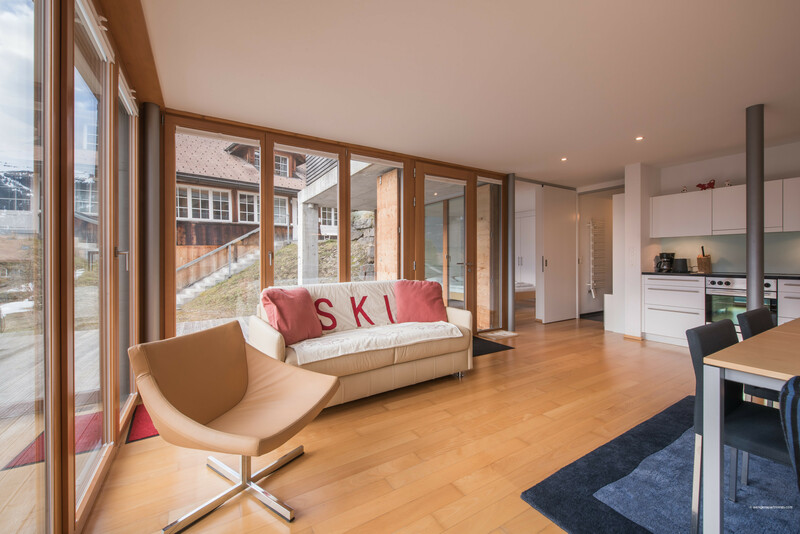 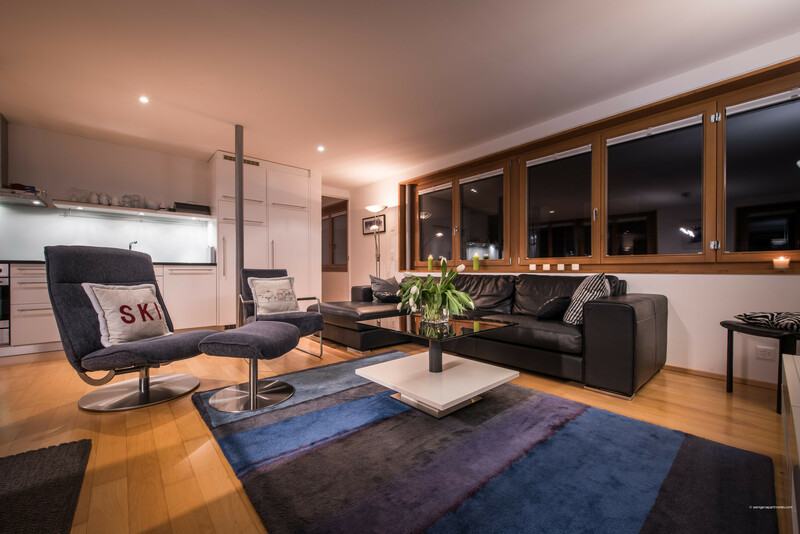 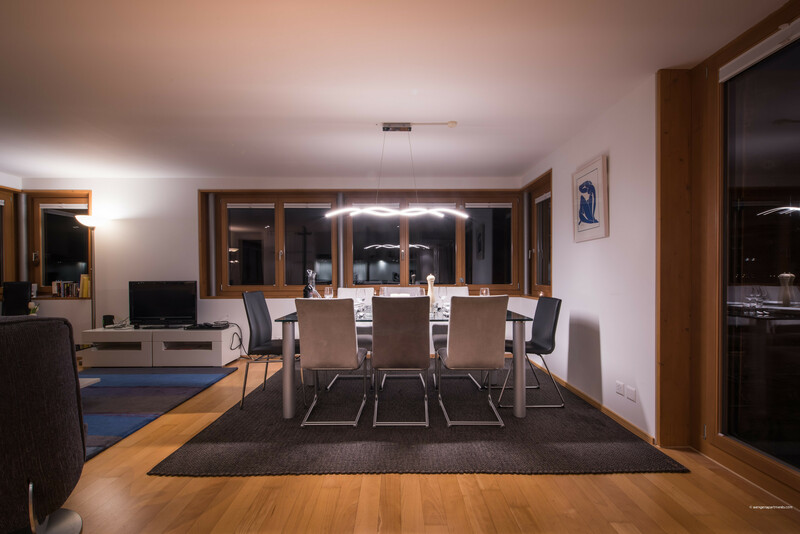 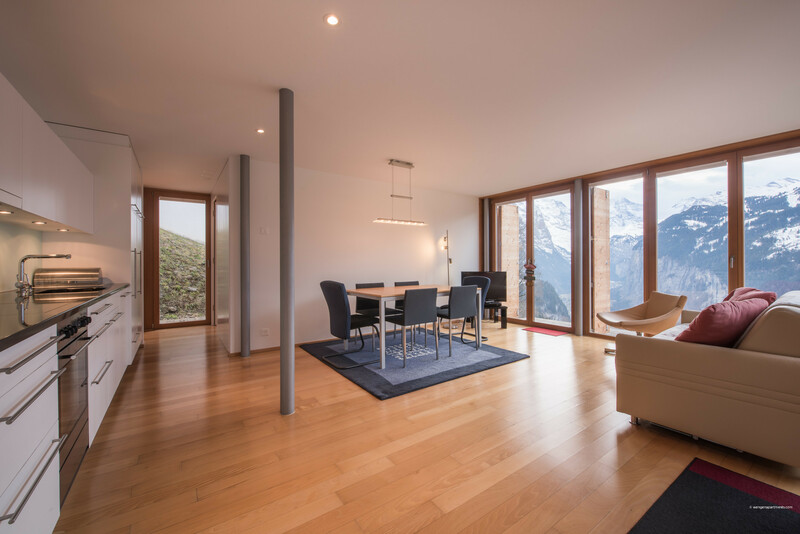 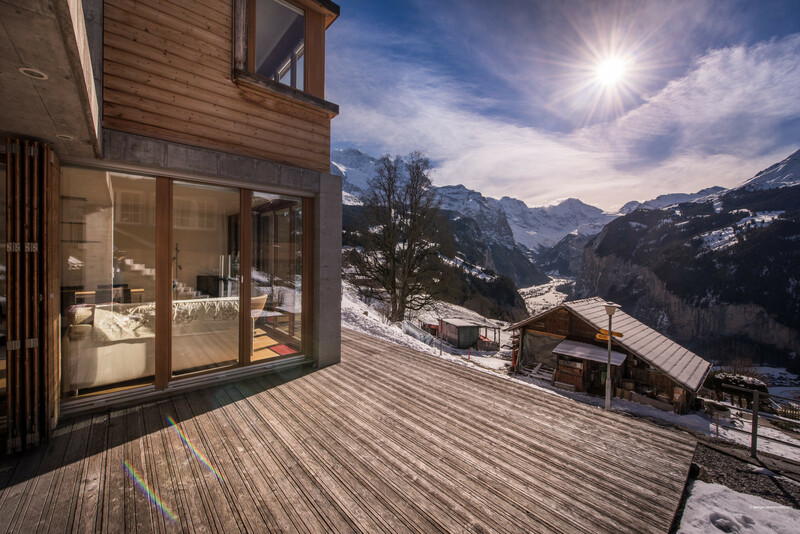 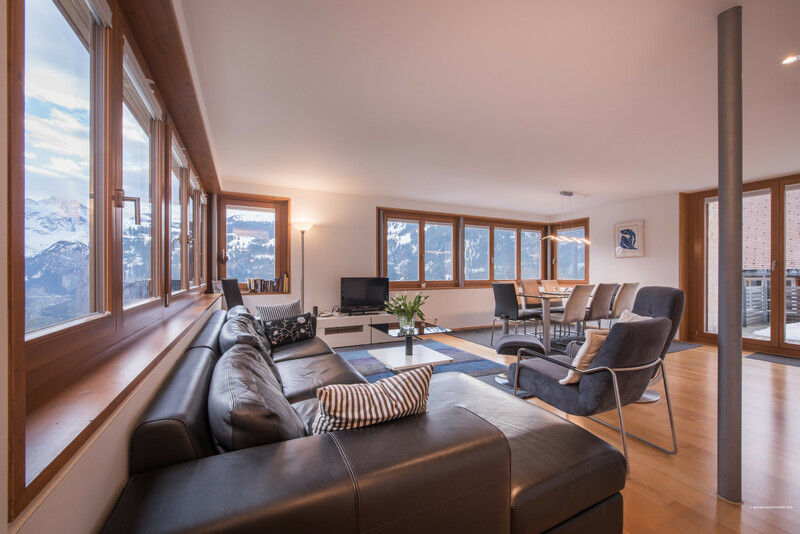 With its breathtaking views and relaxed atmosphere in winter or summer, Chalet Dillon is truly a delightful setting for your next holiday in Wengen! 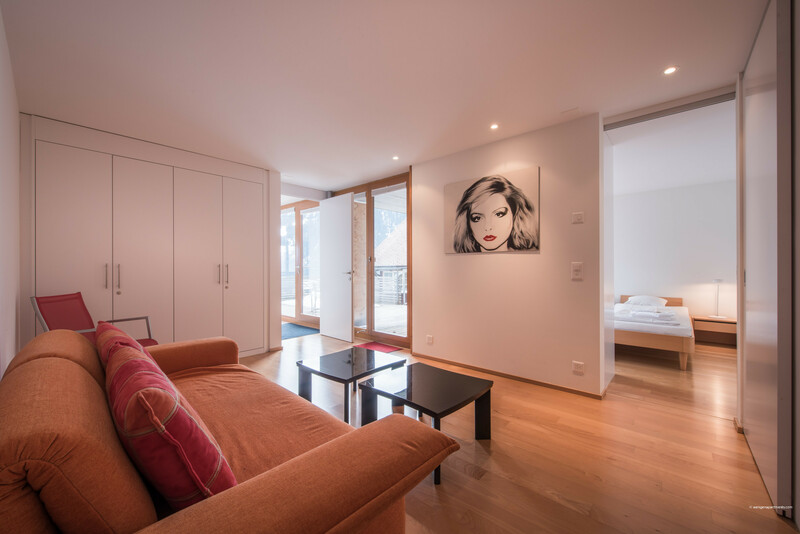 Heated ski & boot storage is provided in town near to the train station and cable car for your convenience. 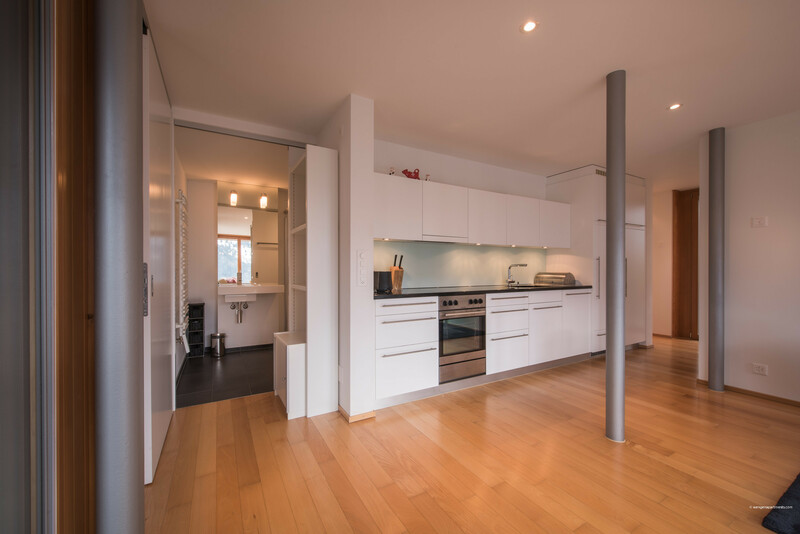 And there are 2 washing machines and 2 tumble dryers in the apartment. 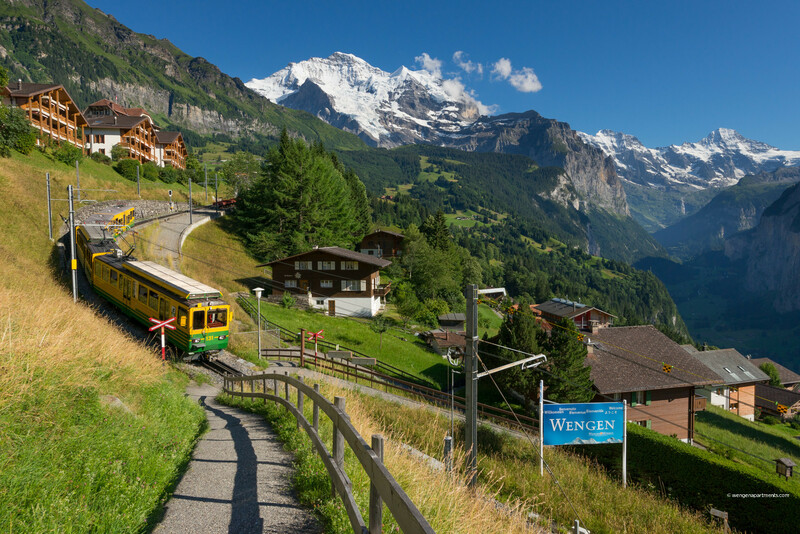 IMPORTANT NOTE: Wengen is a “car-free” mountain village with no direct road access! 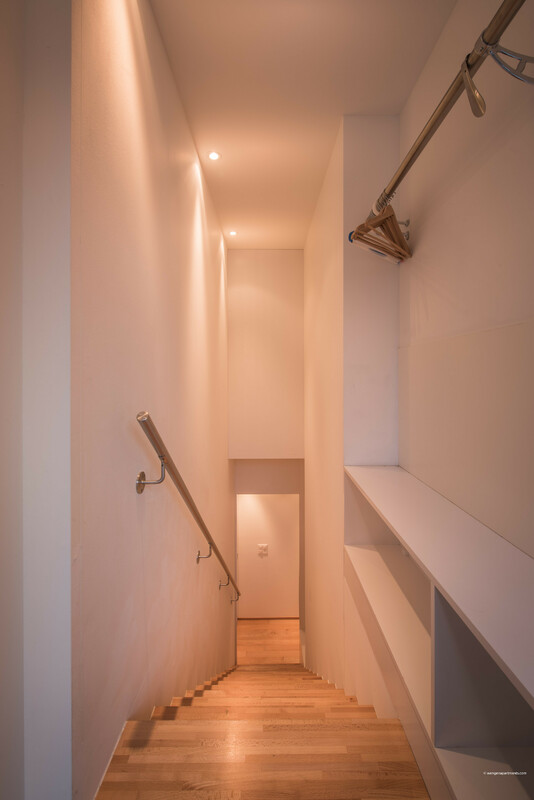 However, arriving by car is still easy. 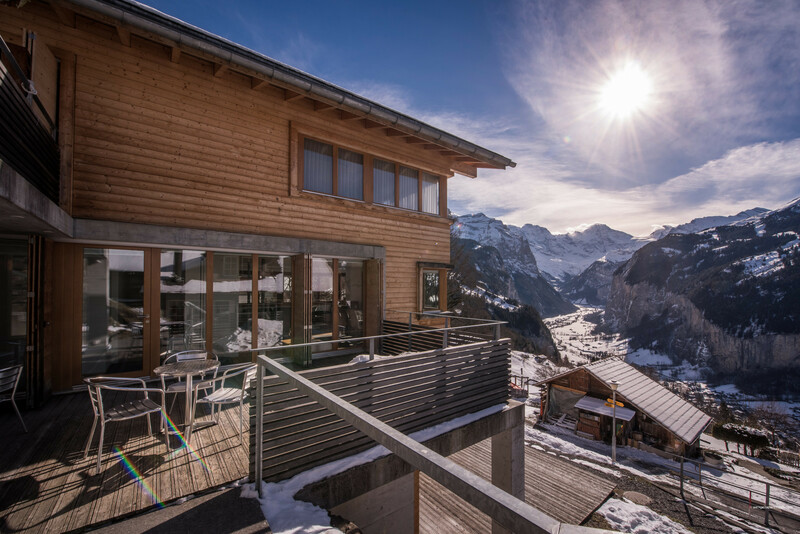 Simply park at the train station in Lauterbrunnen in the valley and take the 15 minute train ride up to Wengen. 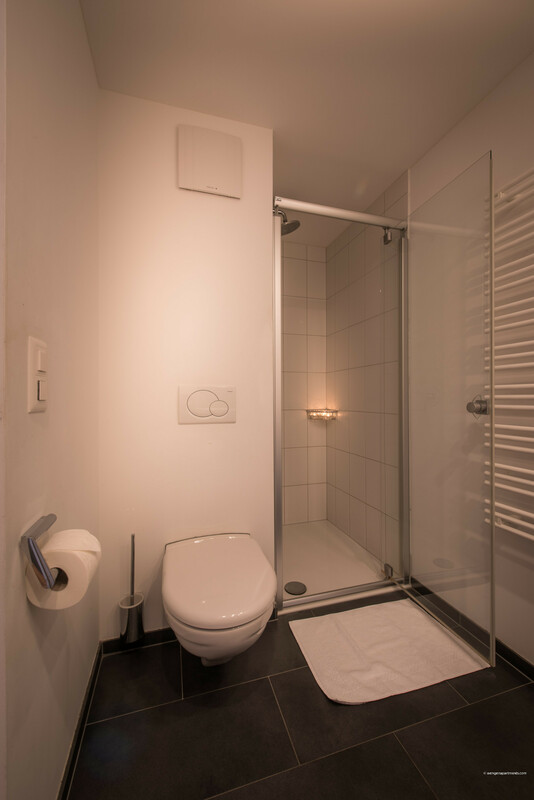 Trains run every 30 minutes until 8.30pm and then hourly. 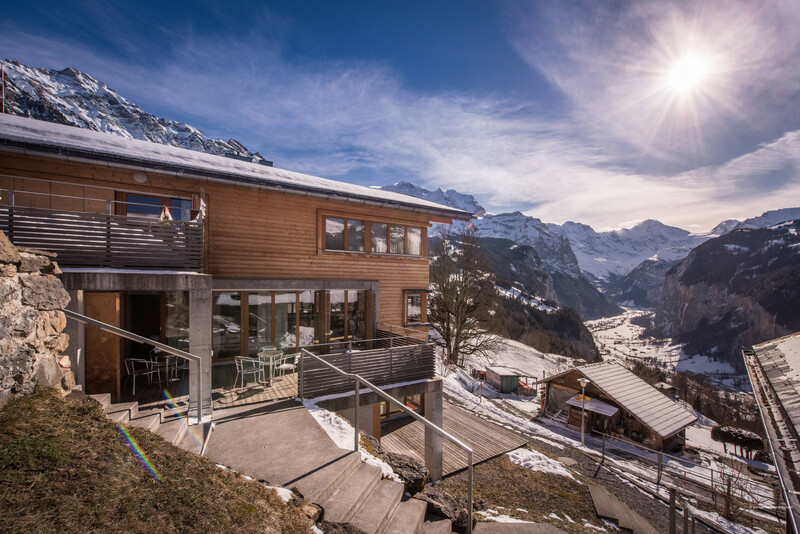 Taxis are available in Wengen to assist you to your chalet if required. 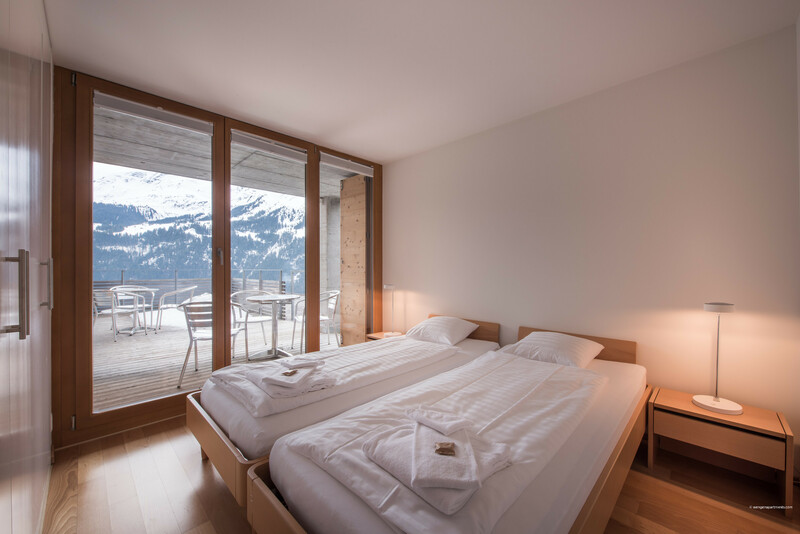 1 King size bed, 4 Single beds, 1 Bunk bed. 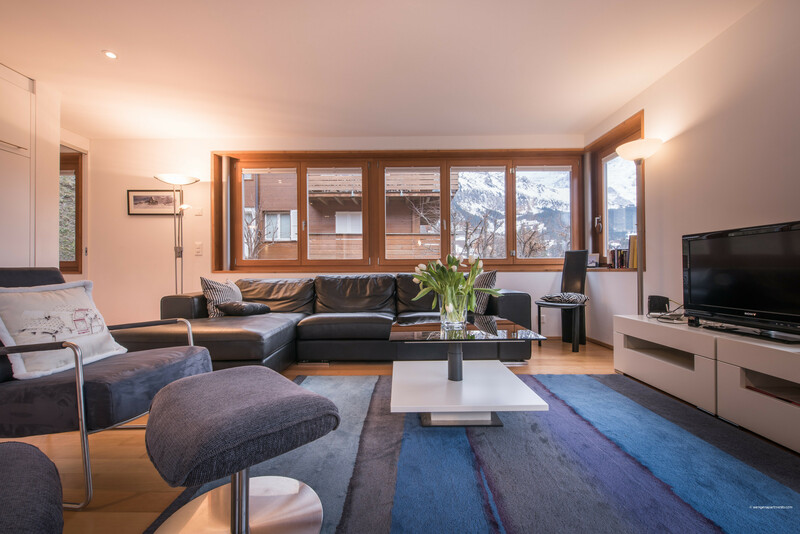 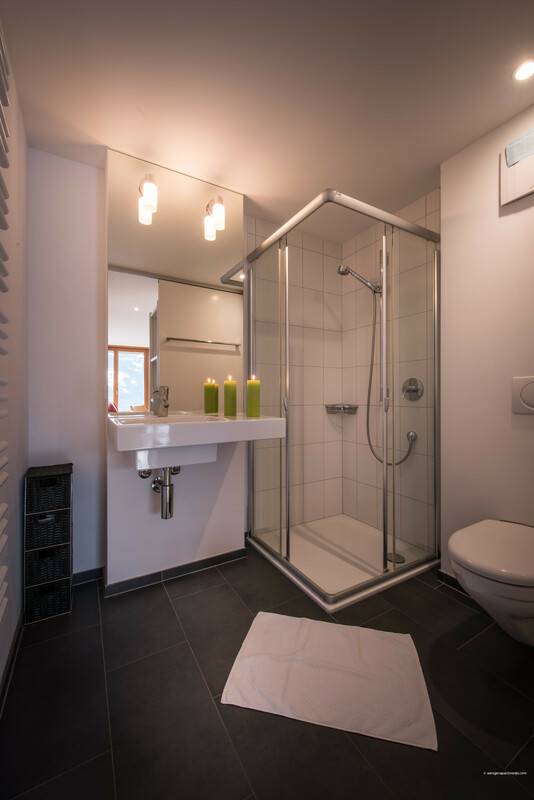 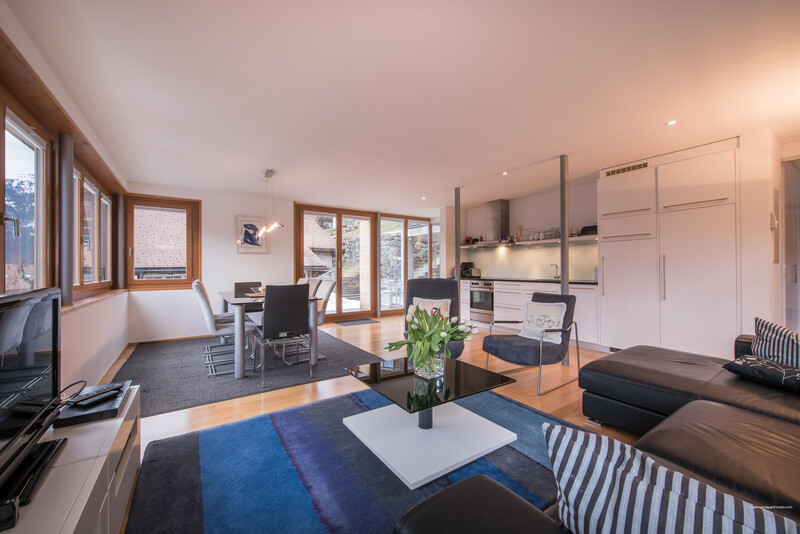 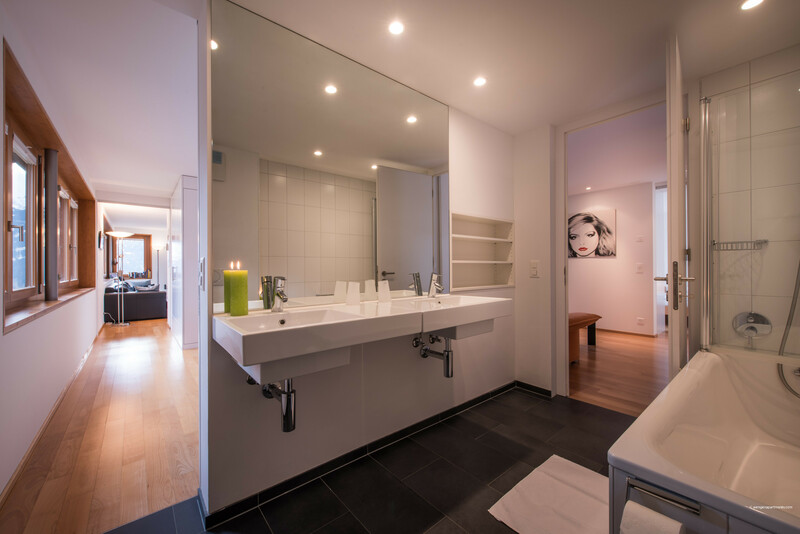 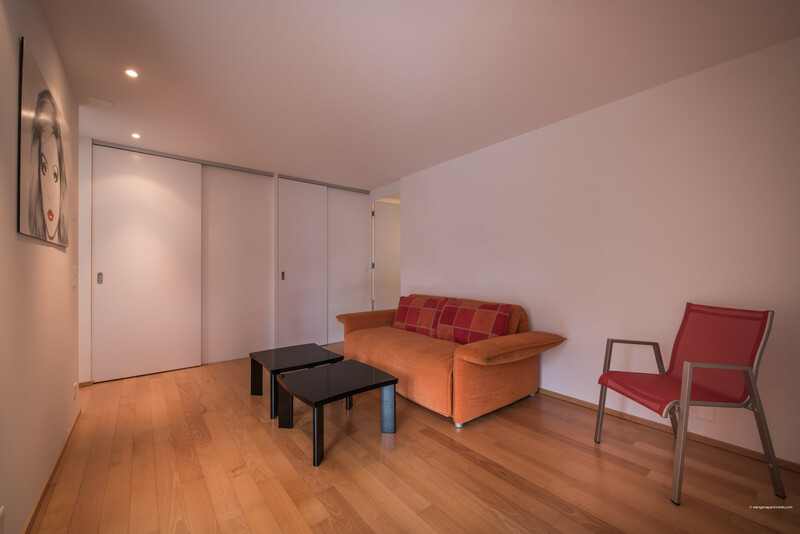 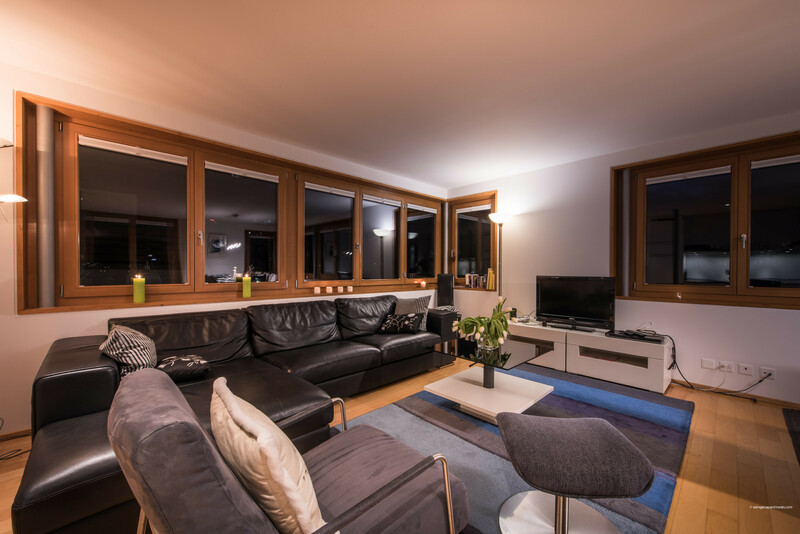 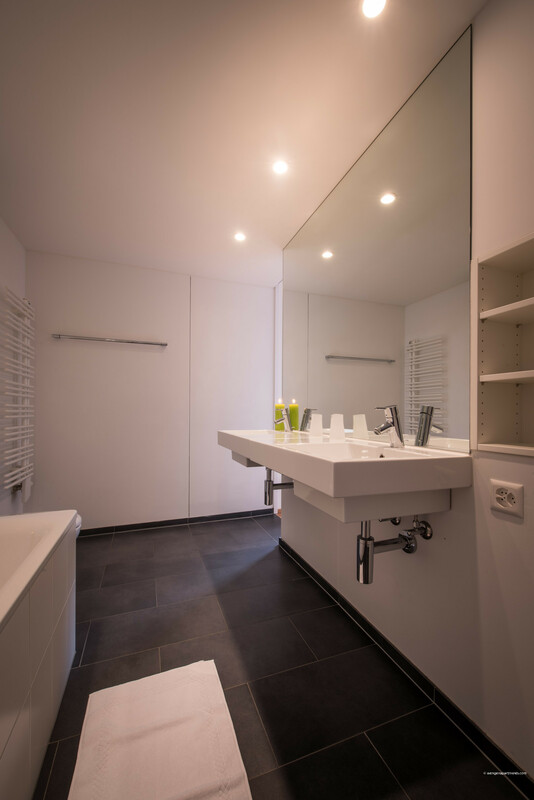 2 TVs, TV Satellite (Languages: English, German, French), DVD, 1st floor, lift, garden furniture, 30 m² terrace, fireplace, iron, internet (Wi-Fi), hair dryer, 150 m² property, 180 m² plot, central heating.